While the Panasonic P65VT50 has stood imposingly on our test benches, it's affectionately become known as the beast. Why? Because it's arguably the most uncompromising TV ever. For starters there's its size. At 65 inches, its screen is the joint biggest in Panasonic's 2012 television range. In fact, it would be the biggest TV (as opposed to professional monitor) around from anyone had Sharp not recently launched 70-inch and 80-inch LCD TVs. Since it uses plasma rather than LCD screen technology, the Panasonic Viera TX-P65VT50's chassis is much meatier than that of most modern TVs, too, thanks to a pretty chunky expanse of bezel by today's standards, as well as a degree of back-mauling heft that hasn't been experienced since the beefy days of the CRT. Certainly if you want to hang the Panasonic TX-P65VT50 up, you'll need a very sturdy wall. Next up there's the Panasonic TX-P65VT50's feature count, which is really pretty huge. Multimedia playback is expansive, courtesy of USB, SD card and DLNA playback support, plus the set provides a portal - via built-in Wi-Fi - to Panasonic's Viera Connect online service. You even get a touchpad remote control intended to make internet surfing easier. 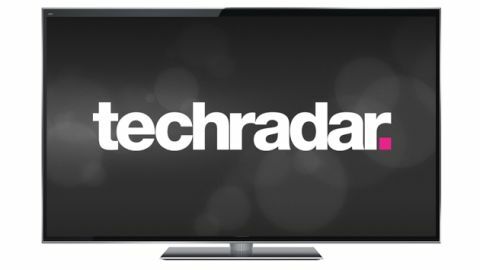 Also notable are its twin Freesat and Freeview HD tuners, and its huge raft of picture calibration aids, including colour management and gamma controls. It's not surprising, then, that the TV is endorsed by both the Imaging Science Foundation (ISF) and the THX quality assurance group. The Panasonic TX-P65VT50 also benefits from Panasonic's premium plasma panel design, complete with a new filter introduced to deliver the richest black levels yet seen from a Panasonic plasma TV. Other stand-outs on the 65-inch television's spec sheet are its use of dual-core processing for enhanced picture quality and multimedia features, and a 2500Hz sub-field drive system that makes the 600Hz claimed by rival brands look positively puny. The Panasonic TX-P65VT50 sits above smaller brothers the 55-inch Panasonic TX-P55VT50 and 50-inch Panasonic TX-P50VT50. In terms of rivals, one step down from the VT50 range you get to the Panasonic GT50 TVs, which use a less advanced filter to deliver a marginally reduced contrast ratio, and don't ship with either the touchpad remote or any 3D glasses included in the price. The most affordable way to get your hands on Panasonic's latest plasma panel design is the ST50 series, which lack the fancy filters of the higher models, and don't use dual-core processing. Pther rivals to the Panasonic VT50 series are Samsung's ES8000 series, LG's 55LM660T and Sony's 55HX853. We'll discuss these in more detail on the Verdict page.